BEACON 9 has caused quite a stir among brokers, with many arguing the positives and negatives. Change is inevitable, and when it impacts broker business you know industry players will have an opinion. Equifax recently announced its new BEACON score and brokers have had varying opinions about the success of the change. BEACON 9 is “the newest FICO Score version in Canada to help you make credit decisions with confidence,” according to the user guide provided to brokers, which was obtained by MortgageBrokerNews.ca. “It allows you to effectively evaluate new prospects by predicting the probability of an account going ‘bad’. Some brokers have noticed an uptick in BEACON scores, with one noting a record-breaking score coming in. 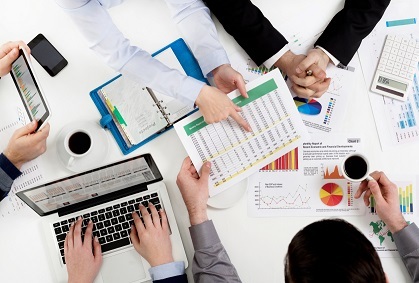 “Clients who pay their mortgages on time, that will be reflected on the credit score. Yesterday, one of my underwriters saw a 900 BEACON, which I always thought was a myth, the unicorn, the White Whale,” Mike Havery, a mortgage planner with Mortgage Architects, recently told MortgageBrokerNews.ca. However, the negative impacts will outweigh the positives, according to Butler. Some have claimed BEACON 9 places more emphasis on credit utilization, which has made for lower scores coming in. However, Equifax denies this. 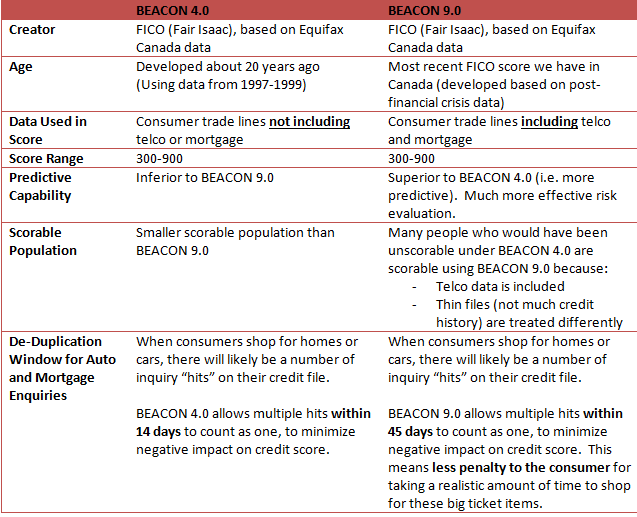 “BEACON 9 does not place any higher weight on credit utilization than previous versions of the score,” Tom Carroll, director of communications at Equifax Canada wrote in an email to MortgageBrokerNews.ca. Carroll also provided a fact sheet on the new score. So...some brilliant paper pusher didn't think the change in scores COULD change lenders' decision tree (i.e. beacon cutoff) which in turn MAY impact a consumers' life negatively? No way! These corporate bigwigs can't be that clueless right? This is not about the consumer, it never has been. It is about protecting big business on the backs of consumers. Mortgages are a shared interest and should never be a part of a credit score, period. As an industry we fail for not being better organized to deal with this crap. Well I agree with Omer better industry organization and influence are required. Lets hope the soon to be CMBA can have some positive impact in this regard. It is time to take these organizations to consumer protection agencies for their short comings. And Telcos should not be allowed to report at all as their billing is unreliable and frought with disputes.